Immunodeficiencies represent a large heterogenous group of dysfunctions of the hosts immune system which increase the risk for infections. Dogs without immunodeficiencies are generally resistant to Mycobacterium avium and Mycobakterium intracellulare (referred to mycobacterium avium complex or MAC) infections. The working group of Prof. Dr. Giger (University Pennsylvania, USA) has identified a genetic variant to be associated with a predisposition to infection with MAC in Miniature Schnauzers. Common symptoms of affected dogs are: lethargy, inappetence, weakness, nasal discharge, conjunctivitis, diarrhea, lymphadenopathy, hepatomegaly and splenomegaly. The age of onset varies between one and eight years. Because of the underlying immunodeficiency, the infections are poorly responsive to treatment. The described variant in the CARD9 gene is inherited as an autosomal recessive trait and seems to impair a signaling pathway which is important for the dogs immunodeficiency. 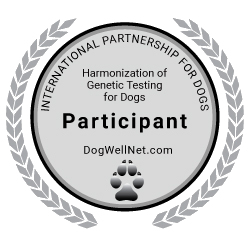 The working group of Prof. Dr. Giger has extensively screened dogs for the genetic predisposition for MAC and thereby has been able to develop the genetic test which is now available at Laboklin. For the Miniature Schnauzers, there has been found a 100% correlation between the genetic variant and the disease. However, in other breeds or varieties, the variant could not be associated with the disease so far. With the genetic test, sickened dogs could be analysed for the genetic predisposition as well as carriers (do not show symptoms but could pass a mutated allele to their offspring) of the variant could be identified. Since MAC is a zoonotic disease, humans with a suppressed immune system could be also at risk for an infection.